On a morning in January 2016, a friend and I were touring one of India’s largest forts, Chittorgarh. Ambalal, our guide along with Mainuddin, our rickshaw wala toured us from point to point within the fort that consumed the entire day. We saw the Meera Bai temple, Bhimkund, Rana Kumbha’s Palace, Karni Mata temple, Kirti Stambh, Vijay Stambh and other prominent ruins. But the story we took home from this trip was that of Rani Padmini and the practice of Jauhar at Chittorgarh. 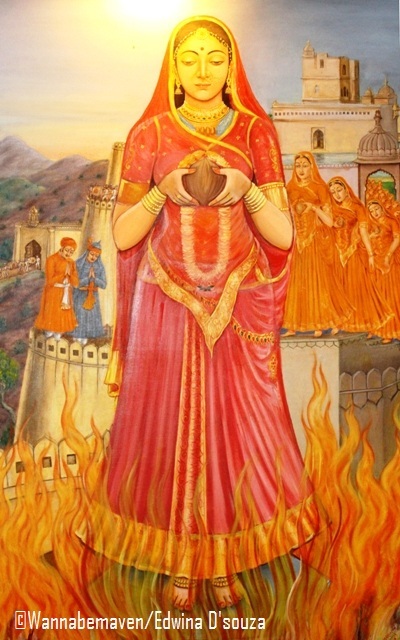 Jauhar was an act of self immolation where women jumped to death in a huge fire bowl, known as Jauhar Kund. This was much on the lines of Sati, but Jauhar was practiced only by Rajput women. In times of wars, while hundreds of Rajput men lost their lives, the women were treated like trophies by the invaders. Rajput women preferred death over being captured for harem. The practice of Jauhar was especially prominent when the Muslim rulers invaded Chittor. If legends are to be believed, the Rajputs had little trust that the Muslim rulers would respectfully cremate them after death. The women decided to burn themselves instead of burial. The Chittorgarh fort has witnessed three Jauhars between 1303 and 1568. 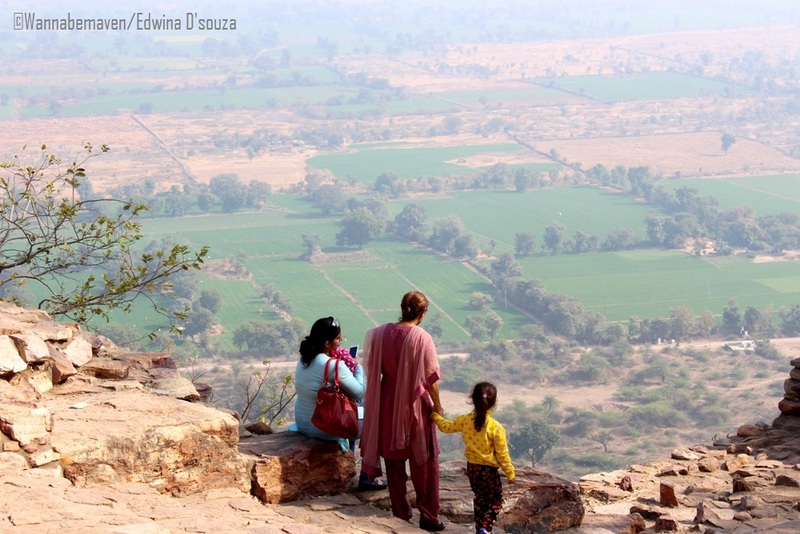 As the capital of the Mewar dynasty, invaders always eyed Chittorgarh. The fort was among India’s largest and conquering it made it easier to rule other forts. Chittorgarh was strategically located between the Delhi sultanate and Surat, the trade capital. Invading and gaining access to Chittorgarh would invariably help in strengthening their rule. 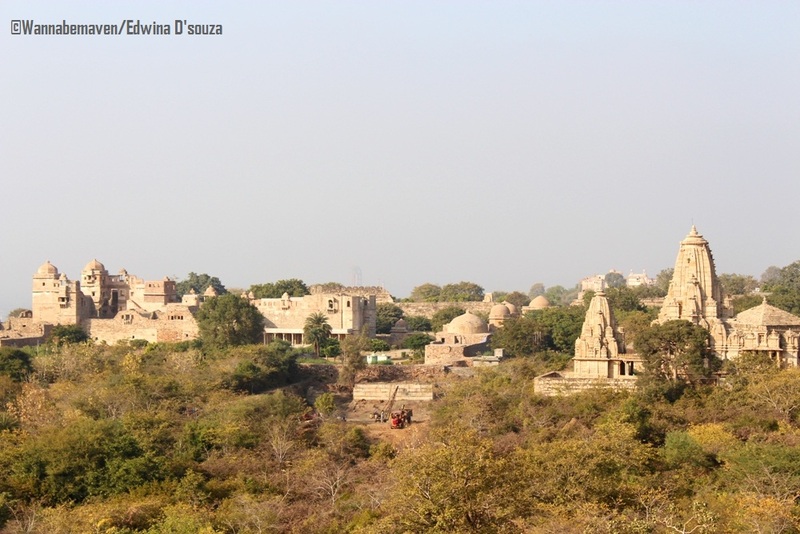 Rani Padmini’s Jauhar in the year 1303 is a telling tale for all the guides at Chittorgarh. The worldwide web is full of stories related to her Jauhar, and her life was adapted into a Hindi television series by a popular channel and recently a film by Sanjay Leela Bhansali. Rani Padmini was the 15th queen of Rawal Ratan Singh, the ruler of the Mewar dynasty during 1302 – 1303 CE. She was known for her exquisite beauty. According to the 16th century poem – Padmavat, Allaudin Khilji was a powerful ruler of the Khilji dynasty and was obsessed with Rani Padmini. He stopped food supplies to Chittorgarh fort and laid a condition that he would not siege warfare on Chittorgarh if he is given a glimpse of Rani Padmini once. Ratan Singh agreed to Khilji’s whimsical request and arranged for him to see Rani Padmini from the men’s palace using a special arrangement of mirrors. After Khilji saw Padmini, he turned back on his words. While Ratan Singh was seeing him off at the gates of Chittorgarh, Khilji’s men captured Ratan Singh. Rani Padmini fought the Khilji dynasty to rescue her husband and a battle ensued that killed Ratan Singh. When the Rajputs sensed that defeat was inevitable, Rani Padmini along with 16000 Rajput women committed a mass suicide called Jauhar. Ambalal, our guide, revealed that the first Jauhar was carried out over a period of six months. As the men died in the battle-field, the women dressed in their wedding attire and jumped to death in the Jauhar Kund. 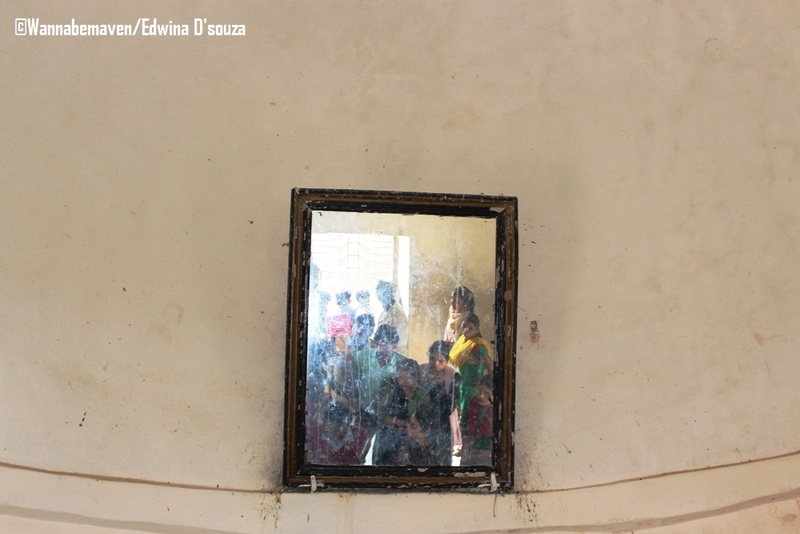 We visited the room from where Khilji saw Rani Padmini, and took turns to see through the mirrors. A crowded and noisy room, all we saw were other tourists surrounding the window and clicking photobombed pictures. Rani Padmini’s Palace in the middle of a pond is inaccessible and can be seen from the men’s palace. Although the pond was dry, we were quick to imagine how pretty her palace may have looked back then with clean waters and surrounding gardens. 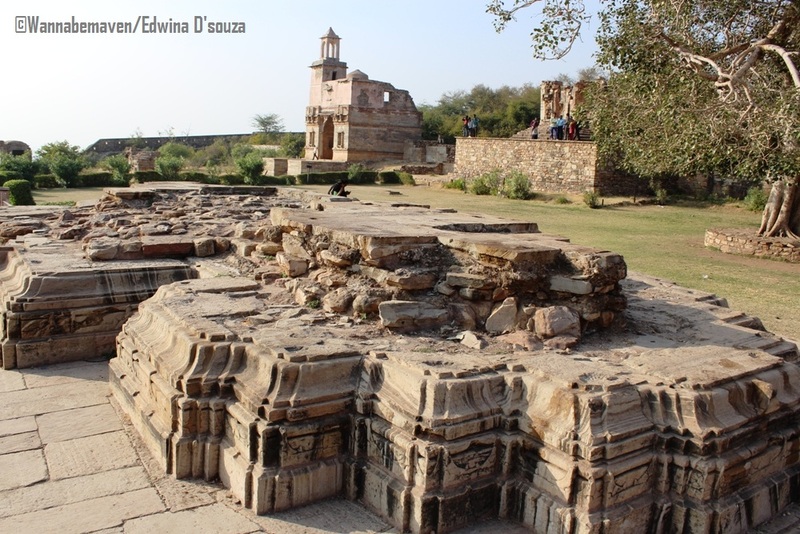 Rani Padmini’s Palace is the most popular ruin at Chittorgarh after the Vijay Stambh. The second Jauhar occurred in the year 1535 when Bahadur Shah of Gujarat invaded Chittorgarh. Rani Karnavati was the queen of Rana Sangha who had died in 1528 during the Battle of Khanua. Karnavati was Sangha’s widow and a woman warrior who courageously fought Shah’s dynasty. However, when defeat was certain at the hands of Bahadur Shah, she along with other Rajput women committed Jauhar. 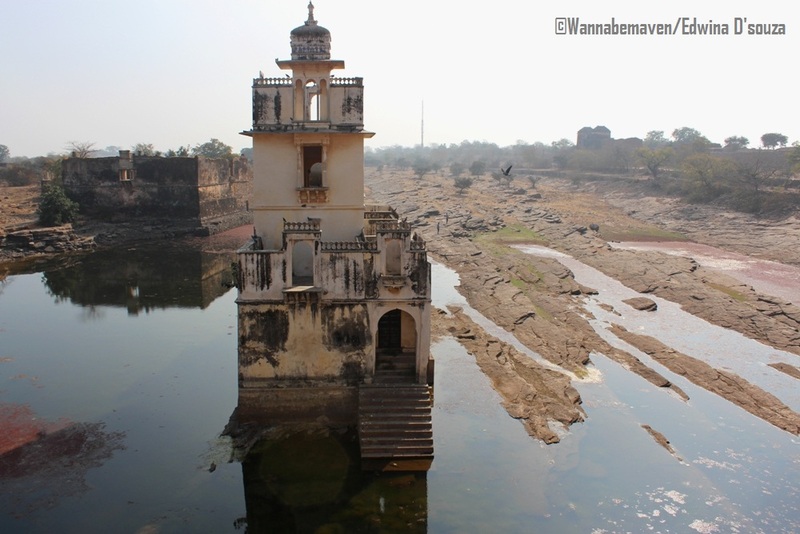 Another historic Jauhar occurred when Akbar sieged Chittorgarh in 1568. The Mughal army stormed the fortress and saw a massive fire emanate from the act of Jauhar committed by over 3000 Rajput women. Today, the site of the Jauhar Kund is a vast green patch of land opposite the very popular Vijay Stambh. A small concrete structure and a board that reads ‘Johar sthal’ stands there to claim its now forgotten existence. Without knowing the story behind the Jauhar sthal, visiting this green patch would make no sense. I’m glad we hired a guide who shared this piece of history while we stood at the site and tried to imagine every bit of his narration. The Jauhar sthal was our final stop at Chittorgarh and a perfect way to end the tour. 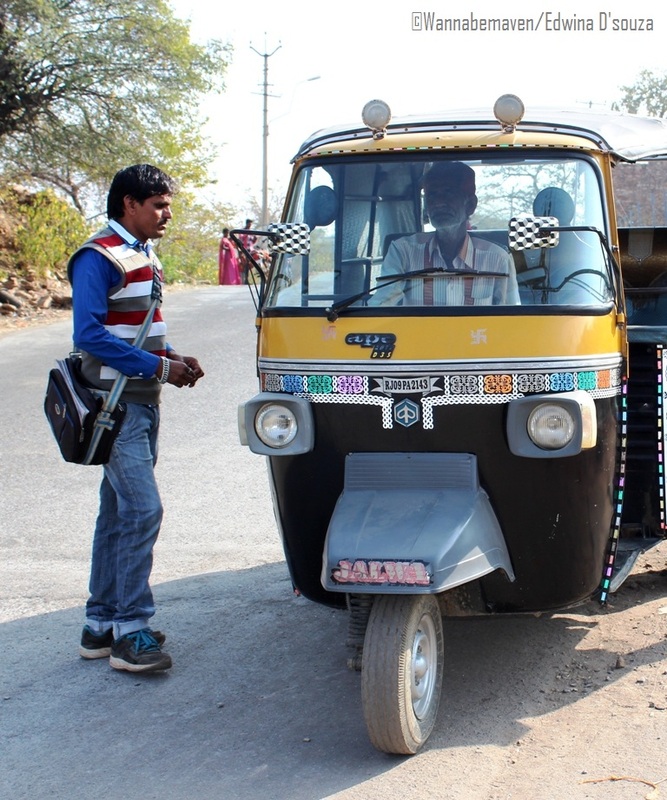 We bid goodbye to Ambalal, while Mainnudin dropped us to the bus stand from where we headed back to Udaipur. Subscribe to this blog to receive my newsletter with cool travel stories and updates in your inbox. Chittorgarh, Chittorgarh fort, Culture, Forts, forts of India, History, history of India, Jauhar, Mughal rulers, Rajasthan tourism, Rajput kings, Rajputs, Rani Karnavati, Rani Padmini, sati, Tourist Destination, Tradition, Travel, Udaipur, UNESCO World Heritage, unique cultures. Bookmark.